The A32SM from Shure is a professional-quality elastic suspension microphone shock mount. It features ShureLock technology to keep the microphone securely locked into the mount and prevent sound from unwanted vibrations. 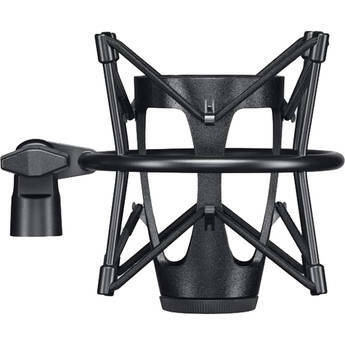 The mount is designed for use with the KSM32 microphone. Box Dimensions (LxWxH) 8.2 x 6.3 x 4.7"